James Bond: I trusted you, Alec. Alec Trevelyan: Trust? What a quaint idea. Alec Trevelyan: (Sean Bean) Half of everything is luck, James. James Bond: (Pierce Brosnan) And the other half? Alec Trevelyan: Fate. Caroline: (Serena Gordon) James, is it really necessary to drive quite so fast? James Bond: More often than you'd think. Caroline: I enjoy a spirited ride as much as the next girl, but-- (A woman pulls up alongside and smiles.) Who's that? James Bond: The next girl. Caroline: James, stop this, stop it! I know what you're doing. James Bond: Really? What's that, dear? Caroline: You are just trying to show off the size of your, your-- James Bond: Engine? M: (Judi Dench) If I want sarcasm, Mr. Tanner, I'll talk to my children. M: You don't like me, Bond. You don't like my methods. You think I'm an accountant, a bean counter more interested in my numbers than your instincts. James Bond: The thought had occurred to me. M: Good. Because I think you're a sexist, misogynist dinosaur, a relic of the Cold War, whose boyish charms, though wasted on me, obviously appeal to that young woman I sent to evaluate you. James Bond: Point taken. M: Not quite, 007. If you think for one moment I don't have the balls to send a man out to die, your instincts are dead wrong. I have no compunction about sending you to your death, but I won't do it on a whim, even with your cavalier attitude towards life. (Q is showing James Bond the special features of a car.) Q: (Desmond Llewelyn) Behind the headlights, Stinger missiles. James Bond: Excellent. Just the thing for unwinding after a rough day at the office. Q: Need I remind you, 007, that you have a license to kill, not to break the traffic laws.  James Bond: Why? Alec Trevelyan: Hilarious question, particularly from you. Did you ever ask why? Why we toppled all those dictators, undermined all those regimes, only to come home: "Well done, good job, but sorry, old boy, everything you risked your life and limb for has changed." James Bond: It was the job we were chosen for. Alec Trevelyan: Of course you'd say that, James Bond, her majesty's loyal terrier, defender of the so-called faith. Dimitri Mishkin: (Tch�ky Karyo) So, by what means shall we execute you, Commander Bond? James Bond: What, no small talk? No chitchat? That's the trouble with the world today. No one takes the time to do a really sinister interrogation anymore. It's a lost art. Natalya Siminova: (Izabella Scorupco) Oh, stop it, both of you, stop it! You're like boys with toys! Alec Trevelyan: Bond is alive? General Ourumov: (Gottfried John) He escaped. Alec Trevelyan: Good for Bond. Bad for you. Alec Trevelyan: Why can't you just be a good boy and die? James Bond: You first. (To Xenia Onatopp) You, second.